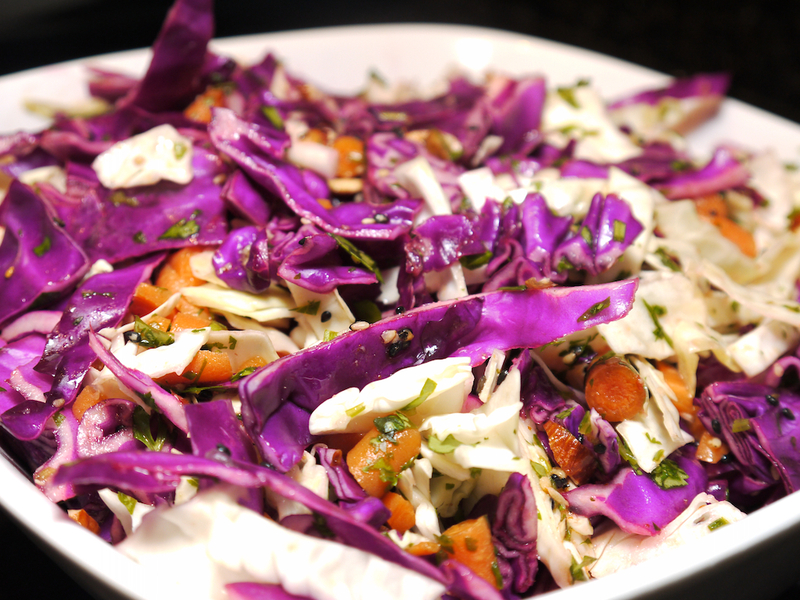 Coleslaw is a great side any time of the year and pairs well with most main dishes. This recipe uses purple and napa (white) cabbage and skips out on the mayo which means it’s healthier and not packed with as many calories. Because of the Srirachi and chili oil I incorporate it has a nice kick that’s offset by the lime juice and cilantro. 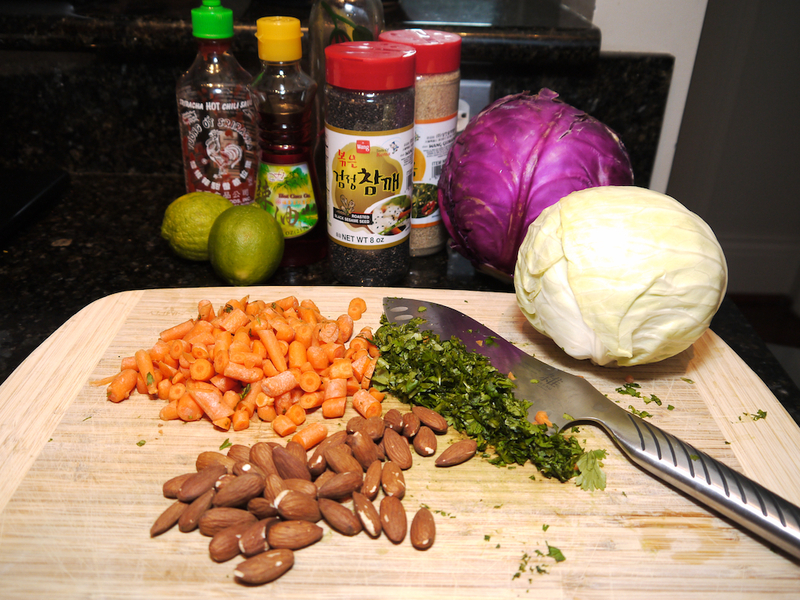 Cut up cabbage, cilantro, almonds and carrots. Whisk together oils, lime juice and Sriracha. Combine all ingredients in a large bowl and toss with dressing to coat. Refrigerate 20-30 minutes and serve. This is a really versatile recipe by that can be eaten alone, used on a sandwich or as a colorful garnish bed. It’s simple and doesn’t rely on too many ingredients yet it’s full of flavors and crunch. Plus, one cup of cabbage is only going to cost you 22 calories so I imagine this recipe won’t exceed 100 calories for an entire cup. It’s guilt-free.